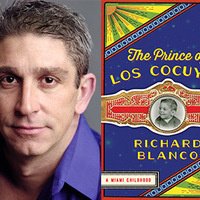 The Prince of Los Cocuyos is a poignant, funny, and inspiring memoir from Richard Blanco, the first Latino, and openly gay, poet to read at a presidential inauguration. In it he explores his coming-of-age as the child of Cuban immigrants and his attempts to understand his place in America while grappling with his burgeoning artistic and sexual identities. Richard Blanco has received numerous awards and honors, including an honorary doctorate from Macalester College and being named a Woodrow Wilson Visiting Fellow. His award-winning books include City of a Hundred Fires, Directions to the Beach of the Dead, and Looking for the Gulf Motel.